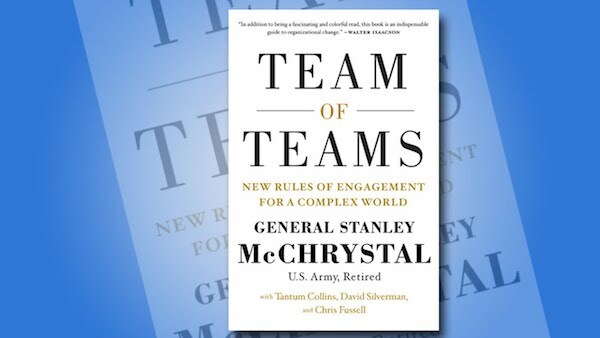 Okay, so the full title is actually Team of Teams – New Rules of Engagement for a Complex World by General Stanley McChrystal U.S. Army Retired with Tantum Collins, David Silverman and Chris Fussell. But do not let this put you off as this is not some war story from a retired warrior. Although marketers and advertisers are used to co-opting military terms such as campaigns and targets. And yes McChrystal does illustrate his points and support his argument using military examples from today and from history. But this is an inspiring book for those who know they cannot meet the challenges of a complex world shackled with the legacy system, structures and processes of the past. But this book, published in 2015, is an insightful business tome on what is required by organisations, especially large organisations to be able to win in the increasingly complex world we operate in. The example of leading the Joint Task Force in Iraq and Afghanistan against Al Qaeda from 2003 is an extreme one but the examples are really a stress test of what is happening in organisations every where. It is likely because of the extreme nature of the circumstances that the issues presented themselves with more clarity and the solutions were stress tested in the literal heat of battle. 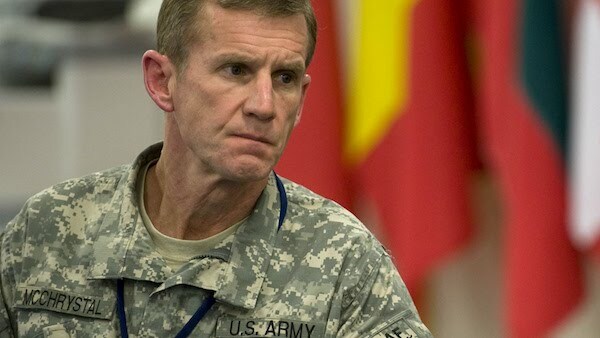 The problem McChrystal faced was that the ‘enemy’ was not a traditional army fighting traditional battle strategies. He realised that their ability to flex and change and operate in autonomous units made predicting their next move near impossible. The Joint Task Force was fighting on multiple fronts without being able to identify or predict what or where those fronts were. Of course he was not the first army to face this. He uses Greek Mythology defined in the story of Menelaus, king of Sparta, facing the shape-shifting polymorph Proteus in battle. Their traditional method of battle was futile and they needed to adapt to win. Likewise it was clear to McChrystal and his leadership team that while he commanded the most powerful and effective military force on earth, they needed to adapt if they were to have success. Why? Because their hierarchical structure, precision processes and chains of command were designed for delivering maximum impact with great efficiency, but no matter how much technology they had it was impossible to predict where that impact needed to be delivered and when. Therefore they needed to adapt and change to solve their own Proteus problem. In the book he identifies the chaotic circumstances he faces and how the change from complex situations they have faced in the past to the complex disruption they face in this situation has resulted in the Task Force questioning everything about their method of operation including strategy, structure, process, and most importantly culture. On this issue of complexity, it made me reflect on the Cynefin Framework originally shared by Shawn Callahan who has written his own review of this book here. Having established the need for change, McChrystal then explores what it is that needs to change. The need to be more adaptable means they need to break down the organisational rigidity within the Task Force. This goes in the face of centuries of military learning because for as long as war has existed military theorists have tried to reduce the practice to a set of principles – from Sun Tzu to Napoleon and many less familiar names. This has led to military manuals of practice that are rehearsed and drilled with military precision to deliver efficiency and predictability. But this rigidity is not just part of the military culture, it is also the culture of most modern businesses thanks to the legacy of a nineteenth century Quaker Frederick Winslow Taylor and his single minded obsession with operational efficiency. This led to organisational practices that while they have provided solutions for the industrial revolution, have created huge problems in today’s world. His reductionist theories lend themselves to creating the neat and tidy hierarchies we observe in organisations today. But in our increasingly complex world this reduction approach, placing command and control over many in the hands of a few, does not work in a world of many-to-many. By studying the enemy and how they operated in self determining teams, and drawing on historical examples that had disrupted traditional approaches, the Task Force realised they needed to adapt by moving from a command and control structure to teams. In fact not just teams under command but a team of teams approach. How to transform from many to one. It is worth reading the book simply to see how these evolved and were implemented and tested in the battlefield. But for marketers and their organisations there are some clear insights and opportunities in a world of customer centric business. You may think that in the military there would be a unified goal or purpose, but the Task Force was composed of various branches of the military, with espionage and counter espionage organisations many operating to different agendas and objectives. Realistically not that different from siloed organisations where the top level purpose is focused on being customer centric with the objective to drive shareholder value. Yet one of two steps down these objectives and purpose become fragmented and misaligned by competing agendas. The military has operated on a “Need To Know Basis” as a way of controlling and securing information. But this meant that the teams operate in a fully informed environment which reduced their capability to respond. Likewise in business there is power in controlling information except that it means that the teams are unable to respond from a position of being fully informed and that opportunities are missed because no-one at an operational level has a complete view of the situation, which is fine unless you need to adapt and respond to a complex market. Probably one of the biggest challenges for the military and many commercial organisations is the need to empower your teams to simply get on with the job. One of the biggest time consuming aspects of the traditional command and control model is the time it takes to refer information and requests up the silo and wait for a response. The issue is that this control of decision making is what creates the need for middle management. This is possibly one of the biggest obstacles for organisations that wish to become agile. Empowering teams to make these decisions based on shared consciousness and against a shared and common purpose eliminates the need for middle management and requires, in the words of McChrystal, leadership to change from Chess Masters to Gardeners. McChrystal noted there was trust within teams, but how do you build trust between teams in the Team of Teams structure? The solution was to use Liaison Officers shared between teams. These Liaisons were important in building trust between teams but more importantly it lead to greater sharing of perspective and culture. On reflection it is part of the drive for creating teams with diversity. 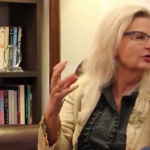 On an operational level it is diversity of skills and expertise, but on a broader community and cultural level it is diversity in gender, age, ethnicity and more. While this is certainly a book that inspires a rethink on corporate structure, there are also insights and implications for marketing leaders too. With the trend towards a focus on Customer Experience and the fact that in many organisations marketing is often compartmentalised with much of the customer journey impacted by others in the organisation. 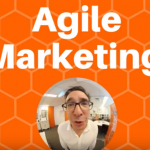 Also with many companies talking about or looking to implement ‘agile’ practices, many in marketing are reflecting on what this means for marketing strategies, structures and processes. 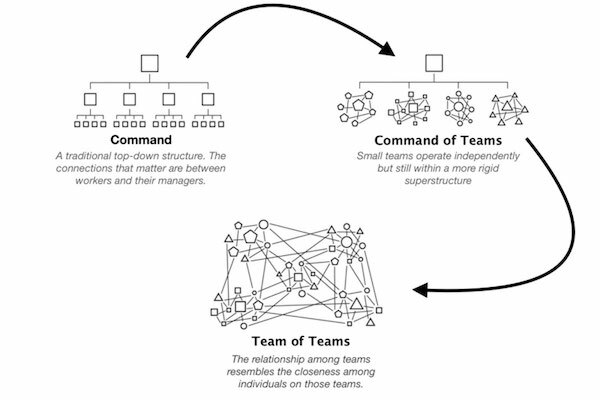 In both cases Team of Teams provides an insight into ways of working that break out of the traditional command and control and create organisational structures and processes that are adaptable, resilient and responsive.